The Tucson Memorial, November 6th-8th, 2015, in Tucson, Arizona (Deadline Nov 4th) brings with it a revolutionary No Entry Fee to Enter. On top of that, WPH has ESPN in the house (Tucson Racquet Club) for Saturday and Sunday. Qualifiers were expanded to 40 (1st time ever) and sold out in minutes featuring names like Killian Carroll (Worlds Finalist), Catriona Casey (trying to become the first women’s pro to qualify on the men’s tour), Abe Montijo (local AZ standout w/10 past qualifying belts), Vic Perez, Shorty Ruiz, Anthony Selestow, Adam Bernhard, Dan Armijo, Carlos Chavez and crossover sensations: Samzon Hernandez, Juan Santos, Alfredo Morales, Timothy Gonzalez, Rudy Cruz, and Sal Duenas, to name just a few. Juniors attempting to qualify: Tyler Stoffel (19), Michael Gaulton (16) and Juan Canales (19). Free Entry Fee to play. Receive souvenir, continuous food and multiple rounds of play. Memorial event honoring those from our handball family that have passed. Benefit Tournament for Junior WPH Development program. We encourage every player that attends to make a donation (not a requirement to play). Each dollar will be matched by select unnamed donors. See juniorhandball.org to read more about our programs. 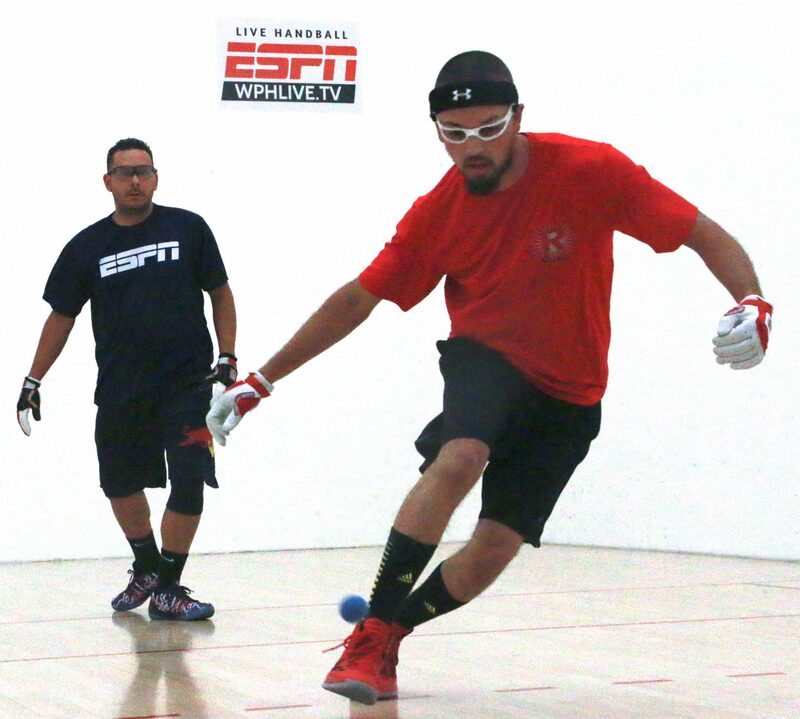 Big Ball 4 Wall big money singles and doubles featuring names like Samzon Hernandez (WPH Outdoor 3 Wall Big Ball’s #1), Juan Santos (WPH Outdoor Cup Champion of 2015), Timothy Gonzalez (NY), Chava Cordova, Carlos Pena (NY), Rudy Cruz, Shorty Ruiz, Sal Duenas and more! Plus, 4 wall small ball crossovers from Luis Cordova, Daniel Cordova, Marcos Chavez, Stephen Cooney and more. Money payouts in the “B” makes back page headlines. Schedule is simple, Qualifiers begin Friday morning at 9am; Elite pros start at 1pm; age division, amateurs, pro/am doubles after 4pm Friday; Big Ball begins after 6pm Friday; all juniors and women start Saturday morning. 4-way play (some restrictions apply) however, if you lose in the qualifier you can play three more divisions as long as you play one big ball and one small ball class (ie the Crossover).